In 1996 at the age of 25, Jindal became the state’s youngest Secretary of the Louisiana Department of Health and Hospitals after being appointed to the position by then Governor Mike Foster. 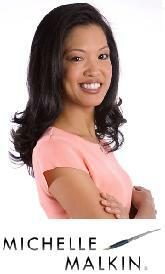 The agency represented about 40% of the state budget and employed over 12,000 people. During his tenure, Louisiana’s Medicaid program went from bankruptcy with a $400 million deficit into three years of surpluses totaling $220 million. In 1999, at the request of the Louisiana Governor’s Office and the Louisiana State Legislature, Jindal volunteered his time to study how Louisiana might use its $4.4 billion share of a tobacco settlement. Also in 1999, at only 28 years of age, Jindal was appointed to become the youngest-ever president of the University of Louisiana System, the nation’s 16th largest system of higher education with over 80,000 students per year. In March 2001 he was nominated by President George W. Bush to be Assistant Secretary of Health and Human Services for Planning and Evaluation.He was later unanimously confirmed by a vote of the United States Senate and began serving on July 9, 2001. In that position, he served as the principal policy advisor to the Secretary of Health and Human Services.He resigned from that post on February 21, 2003, to return to Louisiana and run for governor. 2003. Jindal ran for Governor.In its open Primary, he finished first with 33% of the vote. He went on to run in the gubernatorial runoff against the second place winner of the open primary, Democrat Kathleen Blanco. Blanco won the election with 52% of the vote and despite losing her home district to Jindal. A few weeks after the 2003 gubernatorial runoff, Jindal decided to run for Louisiana’s 1st congressional district. The incumbent, David Vitter, was running for the Senate seat being vacated by John Breaux. He won the 2004 Election for that seat with 78 percent of the vote. 2006, Jindal secured reelection to Congress with an overwhelming 88 percent of the vote. 2007, Jindal announced his candidacy for governor. In what was a crowded field in the open primary process of Louisiana, Jindal defeated eleven opponents and received 699,672 votes or 54 % of the vote.Having exceeded the 50% mark it was the first time that a non-incumbent candidate for governor was elected without a runoff under the Louisiana election system. In 2011, Jindal won a remarkable election to a second consecutive term, In Louisiana Candidates of any and all parties are listed on one ballot in what is called a jungle primary. Unless one candidate takes more than 50% of the vote in the first round, the general election in November is a run-off election that is held between the top two vote getters in the primary, In the October 2011 gubernatorial primary, Jindal received 65.80 of the vote against nine other opponents. Bobby Jindal is considered one of the most energetic, effective, successful, popular, and conservative Governors in America. He has led Louisiana through natural and manmade disasters, balanced budgets, cut taxes, reduced spending, improved education, and developed and applied innovative new solutions to old problems. In Congress he established himself as an earnest and knowledgable legislator and successfully shepherded through Congress a number of critical pieces of legislation and played an instrumental role in Louisiana’s recovery from Hurricanes Katrina and Rita. Other such accomplishments included the passage of legislation to bring significant offshore energy revenues to Louisiana for the first time and legislation that till this day, keeps the Federal Emergency Management Agency from taxing certain recovery grants as income. In 2007 the people of Louisiana found him so superior to other leaders, that when it came time to nominate their two candidates for Governor in their unique runoff election system, they gave Jindal such a wide margin of victory that it became unnecessary to hold a general election. In other words, Louisiana voters did not doubt for one moment that they wanted Bobby Jindal to continue on as their Governor. In the October 2011 primary for Governor, Jindal again won by a margin so wide that there was no need for a general election. In 2007 he won 60 of the state’s 64 Parishes and and 53.91% of the vote against 1o opponents. 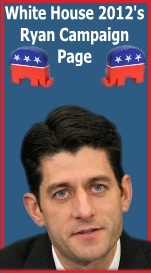 In the 2011 primary he won all 64 Parishes and 65.80% of the vote against 9 other opponents. So not only is Jindal admired and trusted, he is a solid vote getter. But not all of America is like Louisiana, so how would Jindal do outside of the South? The answer is probably very well. His message of fiscal conservatism and well grounded view of how to solve our nation’s problems are often well received, which is why in the 2010 midterm elections, Bobby Jindal was in great demand in states holding their own elections for governor, such as Wisconsin, Ohio, and Iowa. He was also a popular campaigner for many winning U.S. Senate candidates throughout the nation. As is the case with Nikki Haley, Jindal’s Indian-American background has a unique appeal to the minority Indian-American community in the United States but while that community has numbers large enough to be of influence in states like New York and New Jersey, it is still not as large a minority community as the Hispanic voting bloc that can influence the results in many other states and which can be tapped in to with the likes of Rubio, Susana Martinez, Brian Sandoval, or Luis Fortuno. However; based purely on talent, ability, and competence, Jindal is unmatched and therefore can not be left off of any legitimate list of very possible candidates for Vice President. Still though, Jindal’s superiority as a leader is undeniable and that coupled with several other factors make him a very likely choice for Mitt Romney. When it comes to the more shallow aspects of politics, Jindal’s Indian-American background adds a certain degree of spice to an already bland Romney ticket. The diversity that Jindal’s presence on the ticket would bring can go much further than the vanilla flavoring that a waspy Tim Palwenty, or John Thune deliver. So the benefit of diversity is there. Other very beneficial electoral benefits of a Jindal vice presidential nomination include his strong Southern support. Southerners trust Jindal, and while Republicans are not likely to lose the South anytime soon, if Mitt Romney is going to win in November, he will need to bring out the Republican base in record numbers. That means he needs to get Southerners who do not quite trust him yet, a reason to trust him. Jindal might be just the reason. A tertiary benefit to Jindal’s joining Romney on the ticket, is the Gulf oil spill, or as we as all remember it to more accurately be…… the non-stop Obama Gulf oil gusher. While the Obama Administration does not want us to remember that Summer in 2009 that was suppose to be the “Summer of Recovery” but wasn’t, as Governor of Louisiana Jindal’s presence on the ticket will act as a convenient way to exploit that debacle and use it against the President. The Gulf oil disaster was the epitome of government inefficiency and as Governor of the coastal state affected by that disaster most, Jindal is the best person to explain why. He will be able to explain that instead of being a help, the federal government was a hinderance that prevented him and the people of Louisiana from doing what they could to protect their shores and defend their livelihoods. And the whole incident exemplifies the corporate cronyism of the Obama Administration which gave BP, the operators and owners of the rig that exploded, a safety award shortly after they donated a million dollars to the Obama campaign and not long before the rig that received that award, exploded. Jindal does lack foreign affairs credentials. But Romney doesn’t. All things considered, Bobby Jindal is one of the most likely and logical choices for Mitt Romney to nominate for Vice President. Jindal is inoffensive to most people on either the left or right, is well received by the all important Independent voters, has never been a political lighting rod and is probably one of the safest choices he could make and safe is something that Romney really likes. New Fox News poll places Cain on top, King Barack makes his school loan bailout official, Perry picks up prominent endorsement, will skip debates, and plays politics with Confederate history, Herman Cain shows strength in individual states, Newt begins to see more money come his way, Acorn is back, and a discussion of how well Mitt Romney can ultimately go over with the TEA movement. That’s some of what comes out of the campaign trail today. 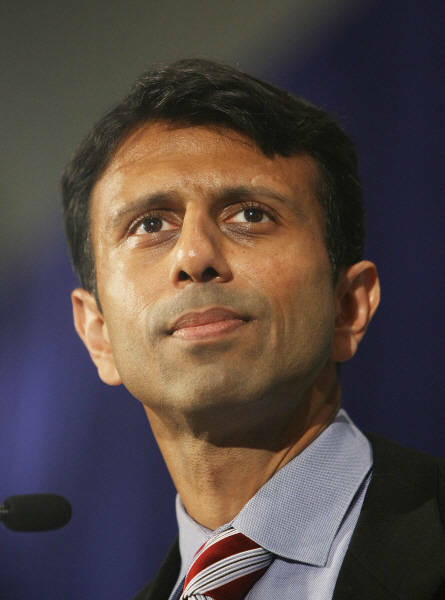 Can Bobby Jindal run for President? On a day that began with what seemed to be big news about Tim Pawlenty endorsing Mitt Romney for President, Texas Governor Rick Perryquickly moved to bury that story by allowing sources to leak the pending endorsement of him by Louisiana Governor Bobby Jindal. Sources state that the announcement will be made before this evenings TEA Party/CNN Republican presidential debate in Florida. The same sources state that Jindal will be attending the debate as a guest of Governor Perry. The news quickly stepped allover Tim Pawlenty’s endorsement of Mitt Romney. Romney had been getting some mileage out of having a formal rival for the nomination who was a popular Governor, suddenly throw his support behind him. But the news that Jindal, a popular incumbent Governor was throwing his considerable clout behind Perry quickly changed the story of the day. But beyond today, Jindal’s endorsement will still have much more weight than does Pawlenty’s. While Pawlenty dropped out of the Republican presidential nomination contest because of a lack of popular support, Bobby Jindal turned down a run for President that did have popular support. Instead, Jindal is seeking reelection to his second term as Governor of Louisiana. More important still is the fact that as a sitting Governor, Jindal has the influence and control over the state Party apparatus that can help sway the outcome of a statewide Republican primary. This is especially the case when it comes to the all important Get Out the Vote Operation. Jindal’s endorsement also could be a signal of a solid South that lines up behind Perry. While Pawlenty’s endorsement of Romney does little for any regional strength to the Romney camp, Jindal’s endorsement of Perry has a great deal of influence in the South. Particularly with neighboring states such as Mississippi and Arkansas. It will even have a positive effect on the all important nearby state of Florida. The Jindal endorsement should not come as a surprise. In the past, the Louisiana Governor has had nothing but praise for his neighboring Governor. Jindal has particularly commended him for always being a friend for Louisiana to count on during the slew of natural disasters that Louisianans has had to deal with. The real surprise would have been if Bobby Jindal didn’t endorse Perry. But as with al things, timing is critical and in this case, Perry’s timing was impeccable. 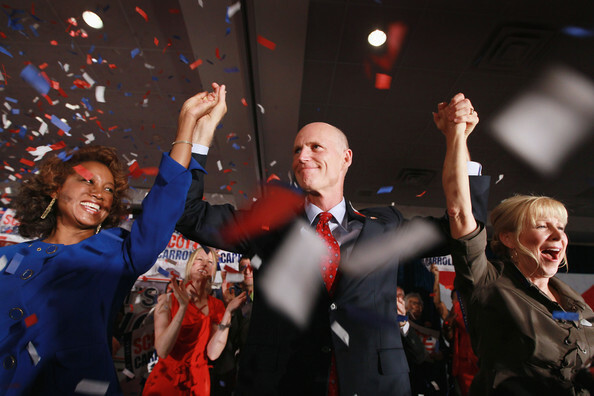 Governor Rick Scott will not be a candidate in 2012. 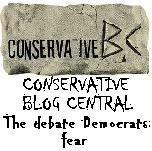 But his actions in the first two months of his governorship will help mold the 2012 debate. In fact, success among conservative governors like him could spell doom for establishment candidates in 2012. Governor Scott is already facing opposition from establishment Republicans in Florida over his hot-off-the-presses budget. Scott is cutting spending by $5 billion in Florida. This includes pension reform for government workers, merit pay for teachers, firing bad teachers, cutting non-essential services and streamlining government. It also includes eliminating Florida’s business tax by 2018 and cutting property taxes. Every special interest group and person who collects a state paycheck hates him right now. Scott is following a path laid down by Chris Christie in New Jersey and Bob McDonnell in Virginia. And he is joined by many freshmen GOP governors who are rejecting the Keynesian model of stimulus debt spending and returning to the conservative model of cutting government spending and giving the money back to businesses and individuals who actually produce growth. This is something the GOP majority is struggling with in the fog of Washington politics. While abstractly they have a plan to cut spending by $2.5 trillion over ten years, the House struggled to find $32 billion to cut in this year’s budget. If the bold, conservative governors who stormed our state capitals in 2008 and 2010 are successful in fixing their state budgets and creating a stark contrast with other more liberal states, the GOP candidate for President will likely be one who can credibly claim to come from the same mold. This will favor potential candidates like Christie, Jindal, and Barbour. 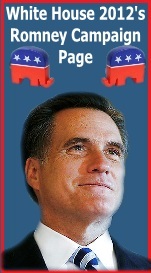 If he makes the right moves, Romney may also be able to attach his name to the outsider, conservative governor genre. It may not be good news for potential Senators and House members whose good ideas will be frustrated by Democrat leaders and Republican moderates. On Wednesday, Louisiana Governor Bobby Jindal found himself having to defend his travel schedule in the face of speculation that he has eyes on the state’s U.S. Senate seat or the even the presidency. As for his travels, the Governor stated that 90% of his scheduled time during his first three years in office was spent in Louisiana where he visited every parish in the state on a regular basis. Jindal assured voters that there is no shadow of any doubt regarding his intention to focus on reelection in the fall and seeing a second term in office through fully. “I lost the first time I tried to get it. People suggested I should run for the Senate. … I don’t want to be a senator. 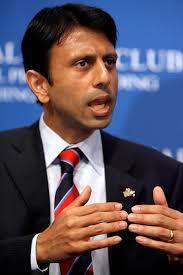 I want to be governor.” Said Jindal before adding “I have the job I want. Jindal has done remarkably well for the state of Louisiana and since his first years in office as Governor, many people have spoken highly of his political future. In 2008 the McCain campaign vetted Jindal for the position of Vice President but Jindal claims to have to turned down the opportunity. For his part Jindal told reporters that they will not find him in Iowa and that his future will consist of completing eight years in office as Governor and accomplishing many of the goals he has planned for the state. After that he plans on returning to the private sector to, as he put it, pay some bills. Jindal is in fact most likely off the presidential radar in 2012 but don’t for one minute believe that a future run after 2012,in either of the two slots on the ticket, is out of the question.